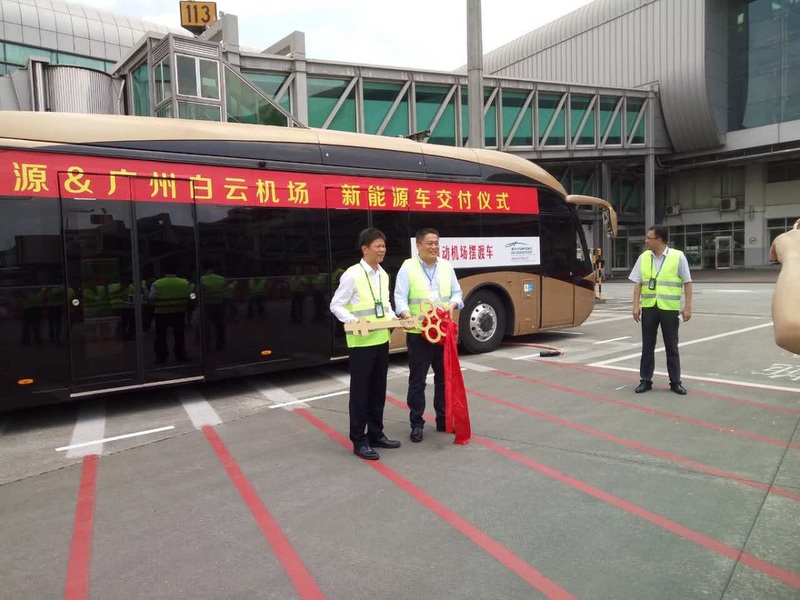 In the morning 25th,May, the the delivery ceremony of new energy vehicle and charging device of energy storage type was hold in Baiyun airport between Yinlong energy Ltd. and Baiyun international airport. CLO of Baiyun airport Yang Tianyu, vice-general manager Zhang wei and leaders of 18 units of Chinese airport in the participate and witness, Mr. Shi Zhikun, general manager of GSE department Yinlong energy, gave the vehicle keys to Mr. Chen Mingkan, CEO of ground service company in Baiyun airport, which signed the ceremony successful. 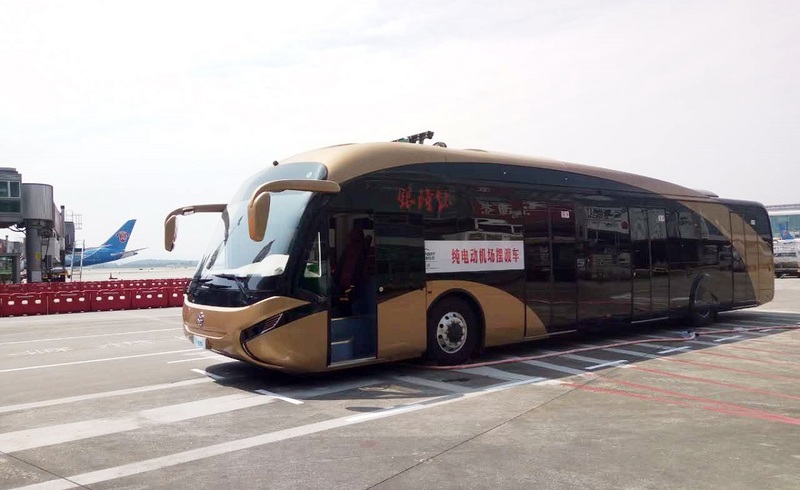 The delivered new energy vehicle including: VIP shuttle buses, Guangtong brand 6119 commuting bus and electric touring bus(Dang-Dang bus). The buses will be used to ground service and passengers transport. 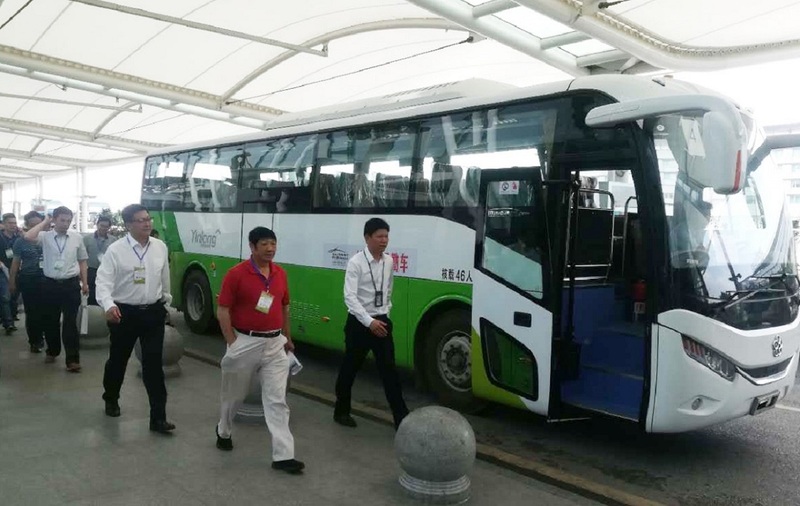 It’s worth mentioning that VIP shuttle bus is the first electric bus matched with the 4th generation LTO battery in Guangzhou airports. The shuttle bus is designed for streamline body, big room, more user-friendly inner arrangement to refresh original conception to traditional shuttle bus. Yinlong can march into airport market successfully, benefit from mastered on LTO technology, which is secure, stable, bearing wide temperature, high efficient, fast charging and storing. The battery is 8C-10C faster charging more than traditional power battery, and takes only 6-15 mins to finish charge and discharge, at same time, it can be charging and discharging normally at —50℃—+60℃ wide range condition, and more than 30000 times to charge and discharge, and other advantages. 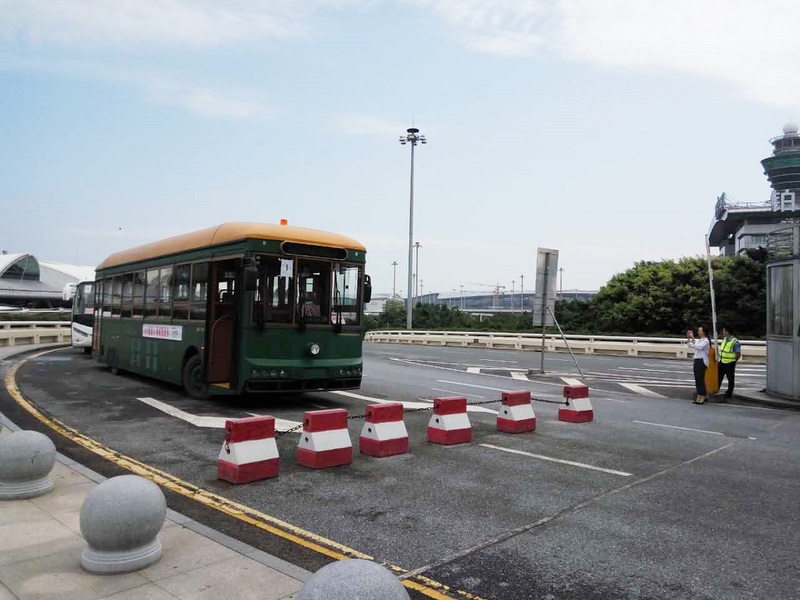 At present, Baiyun ground service company is responsing positively on the develop conception of “innovation, harmonization, green, open and sharing” to push “green airport” construction and upgrade the level of electrified special vehicle in airport. Therefore, Yinlong LTO technology can meet Baiyun green airport requirement. In March 2017, Baiyun ground Service Company and Yinlong energy Ltd. 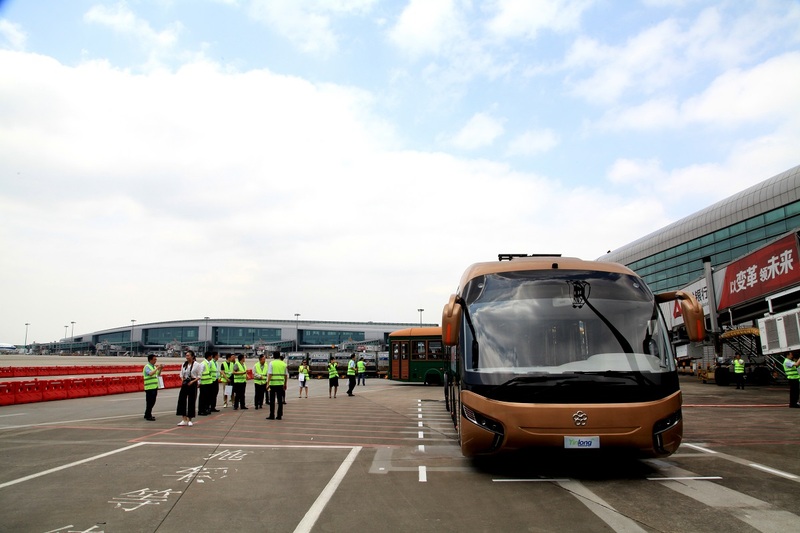 Signed formal cooperation agreement, according to agreement, both of parties will engage to cooperate on new energy special vehicle and charging device, research and develop airport ground special equipment. Mr. Shi Zhikun, general manager of GSE department in Yinlong energy, expressed that both of parties have researched and developed integrated DC charging post, which is located under a boarding bridge for new energy vehicle charging. In the future, both of parties will research and develop charging project based on boarding bridge. It use the condition of bridge and concerned equipment power loading capacity big, no need arrange another wiring, and use equipment power to charge vehicle at free time. 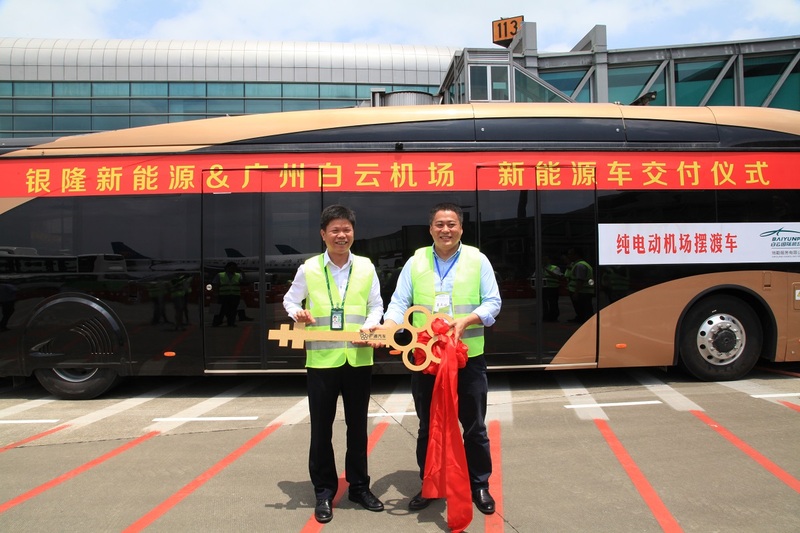 Mr. Shi Zhikun said ground Service Company will add two units of new energy VIP shuttle bus and six units of new energy luggage cargo tractor at end of this year.